The United States should exert every effort to stop its NATO ally from becoming a dictatorship, Daniel Calingaert, the acting president of Freedom House said on Monday. The US-based think tank issued a written statement in the light of the Turkish government’s detaining 13 journalists and staff members from Cumhuriyet newspaper. Over the weekend, the government used its powers under emergency rule to close 15 pro-Kurdish news outlets, including two news agencies and two national newspapers, the statement further maintained. 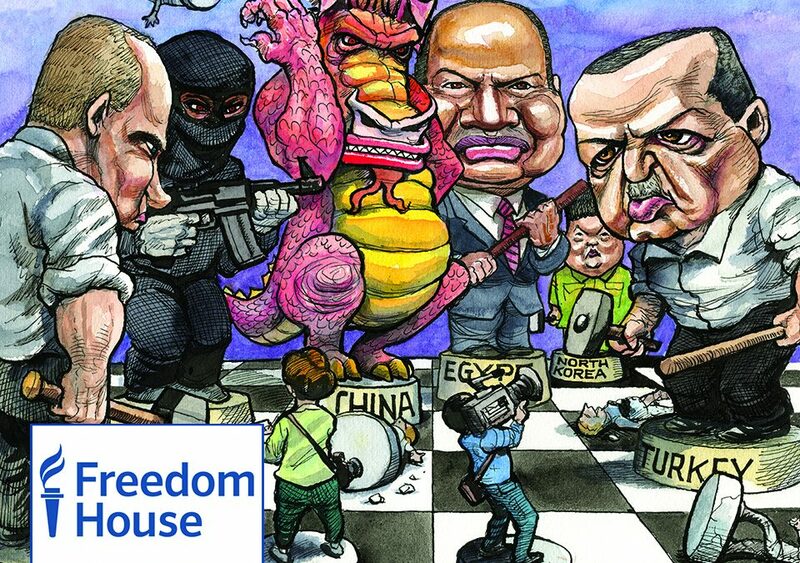 Turkey is rated not free in Freedom of the Press 2016 prepared by Freedom House. A failed military coup attempt on July 15 claimed the lives of more than 240 people and injured a thousand others. Dozens of media outlets in the country have been closed down and scores of journalists have been jailed by the government since the putsch. According to a recent report from the Contemporary Journalists Association (ÇGD), 118 media outlets in Turkey were closed down, 184 journalists were detained, 56 journalists arrested, 866 journalists fired from their jobs and 620 journalists had their press cards canceled during the July-September period.